This bread from Nice Buns Bakery's was delivered on a bicycle. Imagine a farmer’s market that came to you. Instead of giving up a weekend morning to fight through throngs of like-minded shoppers, locally produced and sourced food would be delivered directly to your office building. Slip downstairs from your desk to browse homemade pies, fresh vegetable, and still-warm bread. Aruna Handa has made this drool-worthy daydream a reality. 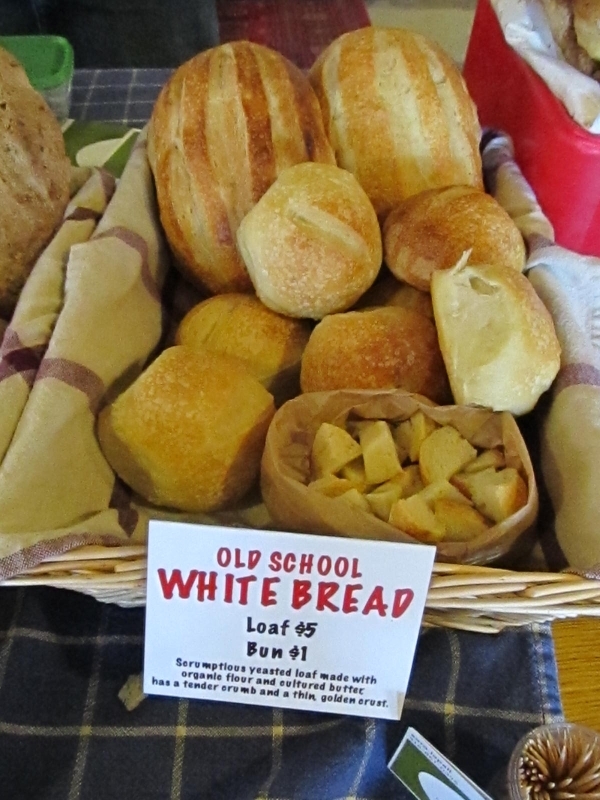 The Toronto Office Markets, a pilot program operating since October 2011, connects office workers with local bakers, cheese-makers, chocolate purveyors and farmers through weekly lunchtime marketplaces in office building lobbies and outdoor concourses. Along with an eight-week guest spot at the ING Building downtown, Toronto Office Markets have found a semi-permanent home at The Center for Social Innovation’s Annex location and in a private Liberty Village office building. 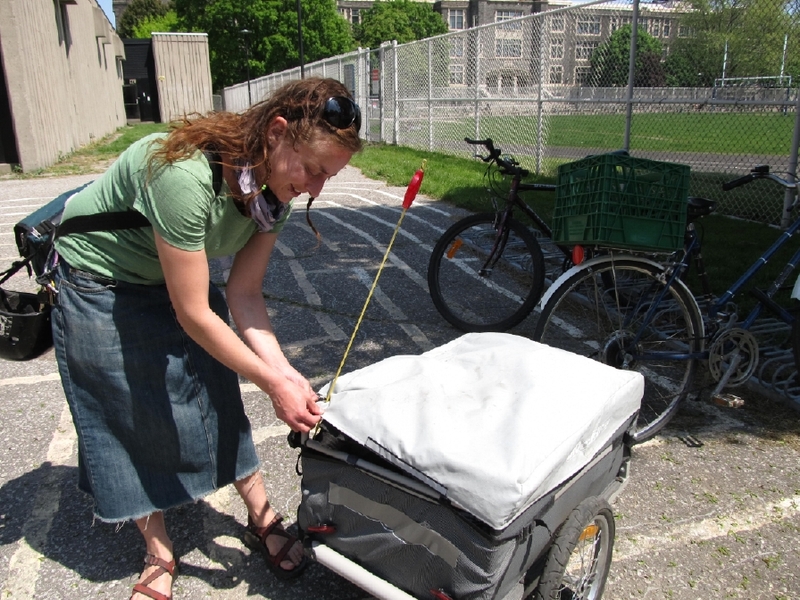 Sara Lapell only uses her bicycle to deliver her Nice Buns baked goods. The smell of Gabriela Ituarte’s nixtamal corn tortillas wafts through the office building and is a tantalizing reason to come for lunch. Ituarte, who is part of ChocoSol, says, “We like to do farmers and office markets to establish a connection between what you’re eating and where you’re getting it.” ChocoSol works directly with suppliers, including Amish corn farmers in the Kawarthas, to work the triple bottom line. 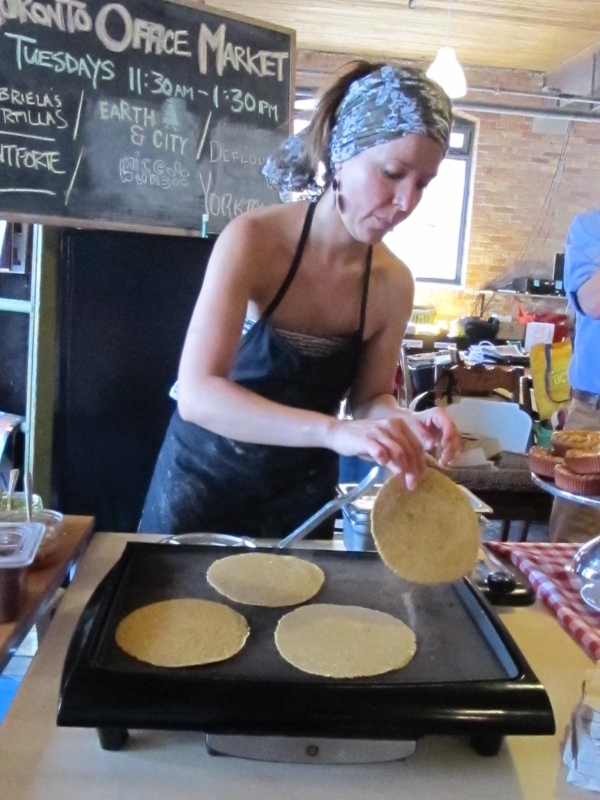 Gabriela Ituarte brings all of her tortilla-making equipment on a bike trailer. ChocoSol has incorporated bikes into their production side: “The technology is eco-friendly: we use bike grinder, bike blenders, and for special events we bring the bikes trailer.” ChocoSol even had a custom-made bike-trailer kitchen -- the “tortilla trailer” -- which neared 200 kg and had to occasionally be pushed to the top of hills. “I lost a lot of weight that summer,” Ituarte laughs. For more food-related stories, check out our Food Issue. To find out what sorts of things other people carry on their bike, check out our Shopping by Bike bike spotting. Please note, we previously spelled Gabriela Ituarte's last name incorrectly. We regret the error.